euronews is Europe's leading international news channel as well as a full multimedia platform for viewers on the move. euronews covers world news and broadcasts 24/7 thirteen services: Arabic, English, French, German, Greek, Hungarian, Italian, Persian, Portuguese, Russian, Spanish, Turkish and Ukrainian. euronews reaches 415 million households in 156 countries via cable, digital satellite and terrestrial windows; and is available through a full range of applications for mobiles and tablets. 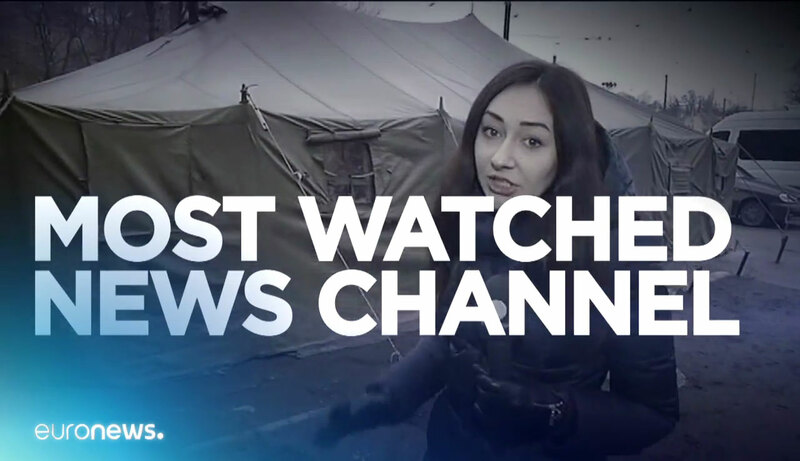 Most watched international news channel, euronews enjoys a daily audience of 7 million viewers across Europe. When looking at the European upmarket population, euronews reaches a monthly audience of 15.2 million viewers on all its platforms. For more information, visit www.euronews.com and catch up all euronews' programmes in 14 services (13 on-air services + Polish).